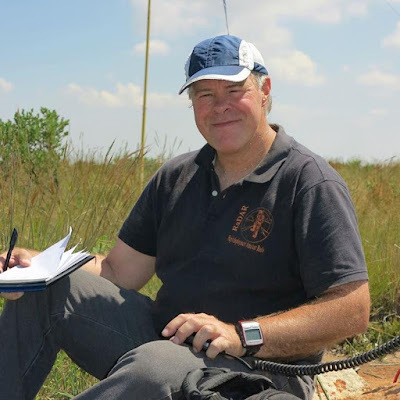 Thanks to John Jacobs W7DBO for allowing me to talk about Rapid Deployment Amateur Radio and the RaDAR Challenge on his Field Radio Podcast. Take a look at all of John's podcasts and videos there. The topics are interesting for any outdoor amateur radio operator and the production is excellent. John hinted that he may go out for the April 7th RaDAR Challenge and make a video about it. Check back on Field Radio Podcast for that. The goal of Rapid Deployment Amateur Radio (RaDAR) is to practice communication via amateur radio under difficult circumstances, in many different ways, being ever ready, and independent of external resources until it becomes second nature. The unique aspect of RaDAR is adding movement to outdoor operating. That is stations rapidly deploy, move with all necessary gear and redeploy. This is a stress test of operating capabilities but can be enjoyable and rewarding when undertaken in the great outdoors. Thanks to Eddie ZS6BNE for originating and refining RaDAR over the years. Eddie discusses his ham radio story and RaDAR on QSO Today Episode 28. Check out this video Eddie and his son made. Join us for the April 7th, 2018 RaDAR Challenge!